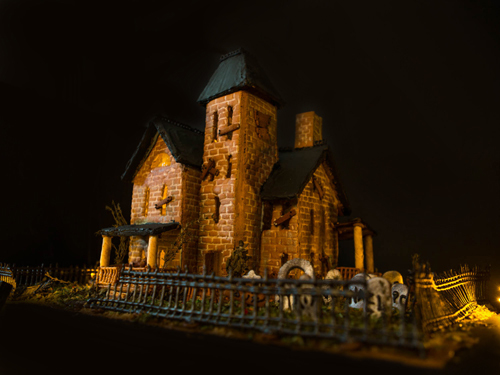 Brave Tart’s amazing gingerbread house in pretty intimidating but she shares a huge amount of information on how to get everything looking just spooky enough. The page includes recipes, templates and instructions on assembly. 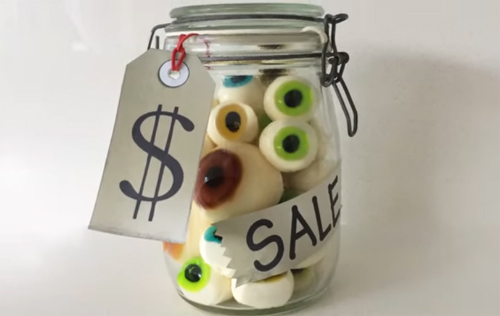 Ann Reardon shows us how to make a Gravity Falls themed jar of eyeballs and a horrifying gelatin hand. Her video has all the tools, instructions and recipes you’ll need. Also, her remake of the bleeding Taylor Swift heart cake would work really well for Halloween. 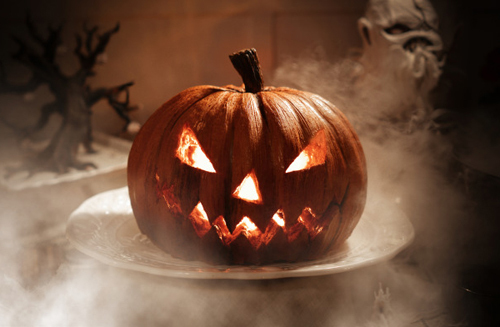 Here is a collection of Christine McConnell’s Halloween party food including this amazing Jack-o-lantern cake, with recipes and assembly instructions. Also check out the caramel spiders, I jump a little every time I see the pictures. Yikes. So glad to get an email with a link to your post again! I’ve missed you as I always appreciate your slightly odd perspective. What a fun post! Thanks to Tina for the good idea – I just signed up to “subscribe via email” (link is on the “about” page).